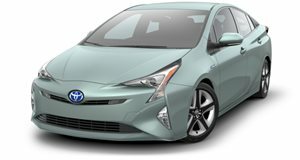 Don't buy a Prius, just change the way you drive. We're firm believers that what you drive is not quite as important as how you drive. This is a fact that we've known ever since the first Fast and Furious movie. However, this doesn't only apply to speed, but to fuel economy as well. A new study by UK insurance company Direct Line took a look at 319,000 car trips by over 2,000 drivers to determine that drivers with "sensible" driving styles spend 837 GBP ($1,033) on fuel per year, while those with the worst driving habits spend 1,399 GBP ($1,728) per year. That's an extra 50 GBP ($61) per month of added costs. Poor driving habits refers to actions such as excessive braking and acceleration. We've all been stuck behind some idiot that keeps touching their brakes on the highway. This study instantly made us think of a test that Top Gear ran several years ago where a BMW M3 was able to get better fuel economy than a Toyota Prius. 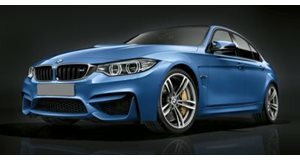 Even though the M3 had a 4.0-liter V8 with 414 hp and the Prius had a 1.5-liter four-cylinder with 110 hp, the BMW barely had to work to keep up on the track. The analysis from the UK study showed that drivers could save around 562 GBP ($693) per year by altering their driving habits. The most aggressive drivers in the study had to fill up every 413 miles, while the most efficient drivers were able to go 693 miles before running out of gas. On average, the aggressive drivers would have to fill up their cars 20 times in one year, while the sensible drivers would only have to stop 12 times. Everyone always wants to get a new car to get better fuel economy, but changing your driving style is a more affordable way to improve your car's MPG.